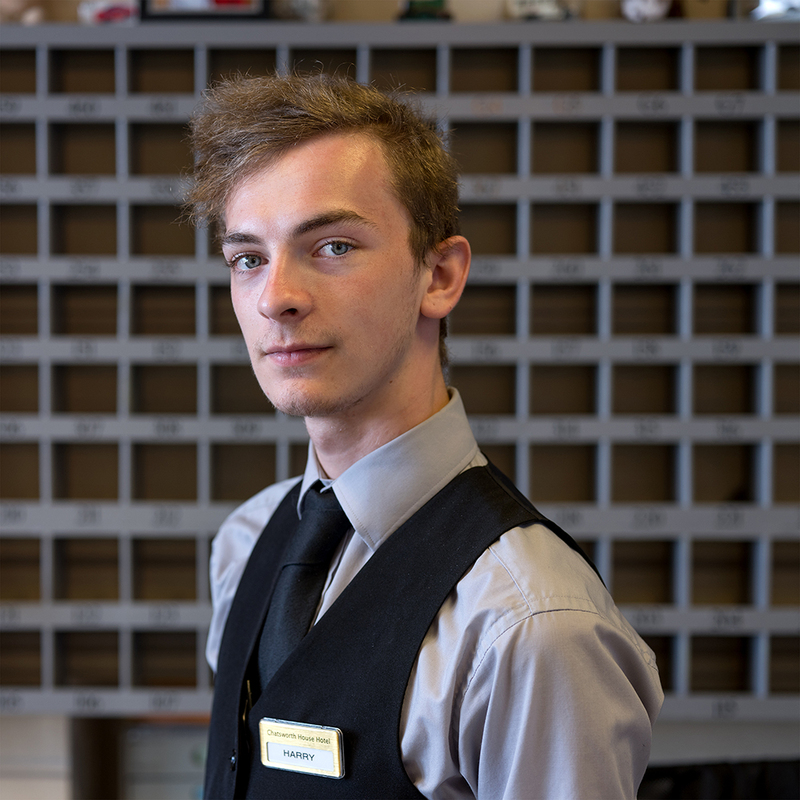 Hidden Hospitality sees a renewed collaboration between photographer Niall McDiarmid and Oriel Colwyn's curator Paul Sampson to produce specially commissioned work that highlights the many hidden faces of the hospitality trade across Llandudno town. 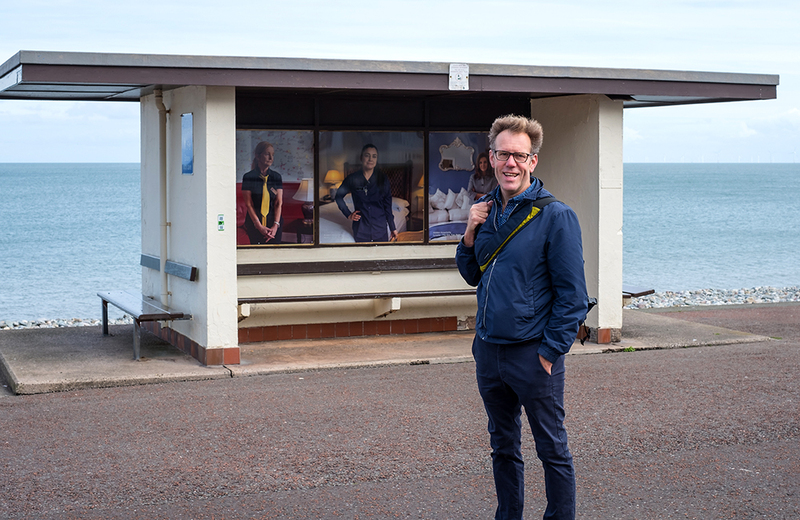 Showcasing these people and personalities, the hard-working staff and owners of B&Bs, Guesthouses and Hotels in Llandudno, 54 Large-scale open-air portraits are exhibited along Llandudno's promenade and housed within its 7 iconic shelters located between the pier and Craig y Don paddling pool. The public show opened as a part of LLAWN06 Arts Festival (www.llawn.org) on Friday 14th September and now continues into 2019. 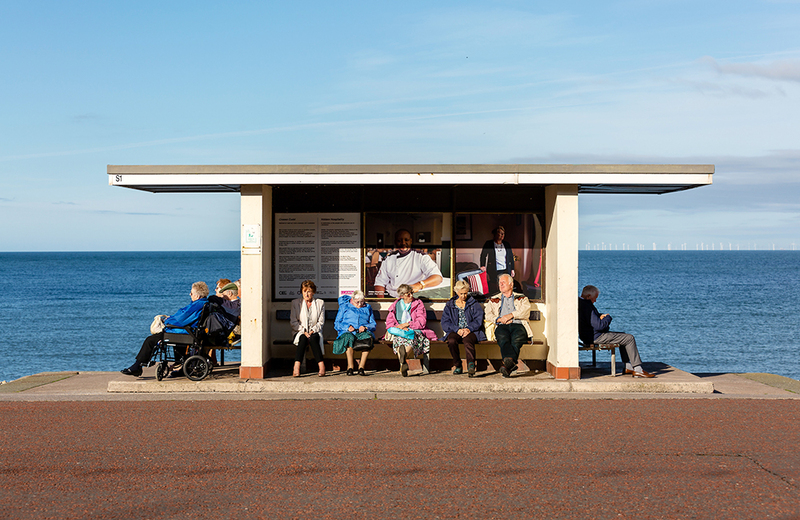 Niall first exhibited 'British Portraits' at Oriel Colwyn in 2016 and has since exhibited in the newly opened Martin Parr Foundation and the Museum of London. His work primarily focuses on documenting the people and landscapes of Britain. His books include Crossing Paths (2013), Via Vauxhall (2015) and Town To Town (2018). 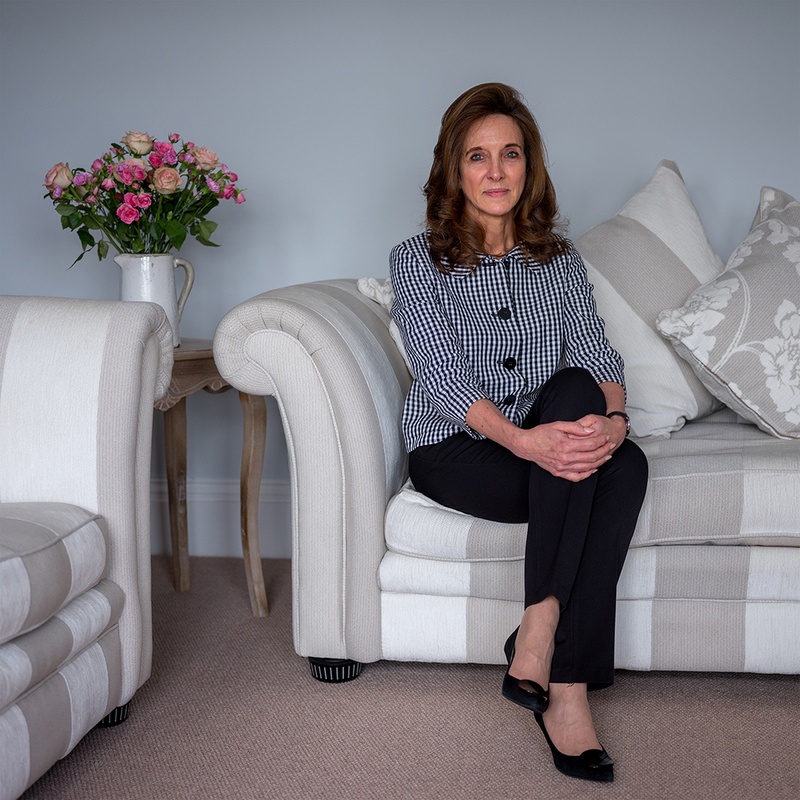 Niall's portraits are held by the Martin Parr Foundation, the Museum of London, the National Portrait Gallery and the Sir Elton John Photographic Collection. A limited edition 84 page full colour exhibition booklet also accompanies the show. 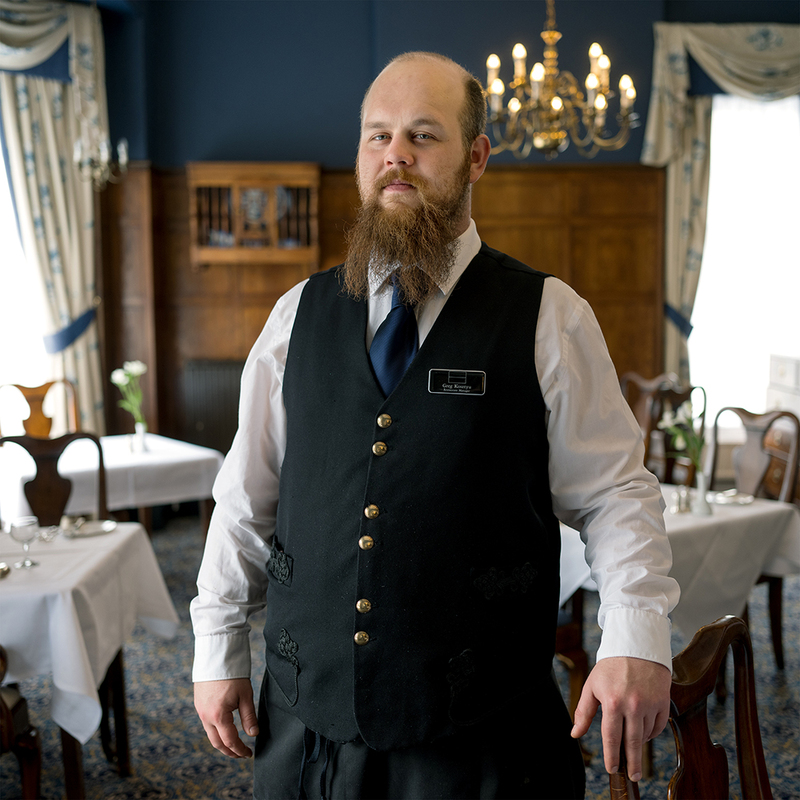 These Hidden Hospitality books are available FREE of charge by calling into Oriel Colwyn. If you can't make it over to the gallery we are thrilled to also make them available via post for a small donation to our fundraising page. You will then be contacted within 1 working day to confirm your postal address. Curated and produced by Oriel Colwyn’s Paul Sampson, this project has been commissioned by Culture Action Llandudno (CALL) and is supported by Arts Council Wales' Ideas:People:Places funding and Mostyn Estates Ltd.